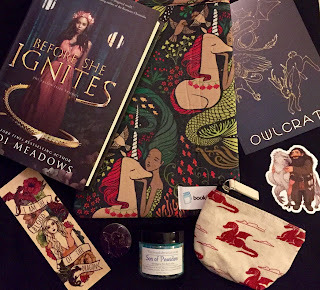 Guys, Owlcrate has been knocking it out of the park lately! So much for my plans to get down to one box a month. But I do love that they give you the option to opt out of a month if the theme is just not your thing. The September box is so much my thing! The theme was Mythical Creatures. And look how pretty it is! Dragon coin purse designed by Team Owlcrate. This is really cute and I was surprised how much it holds. Wooden bookmark from Ink and Wonder Designs featuring The Mother of Dragons. It's so pretty and thinner than I expected it to be. Percy Jackson-inspired bath salts from The Soap Librarian are exclusive to this box and smell like eucalyptus. Hagrid and Buckbeak sticker by Susanne Draws. I'm afraid to stick it on something because I want it for all my bookstagram pics. 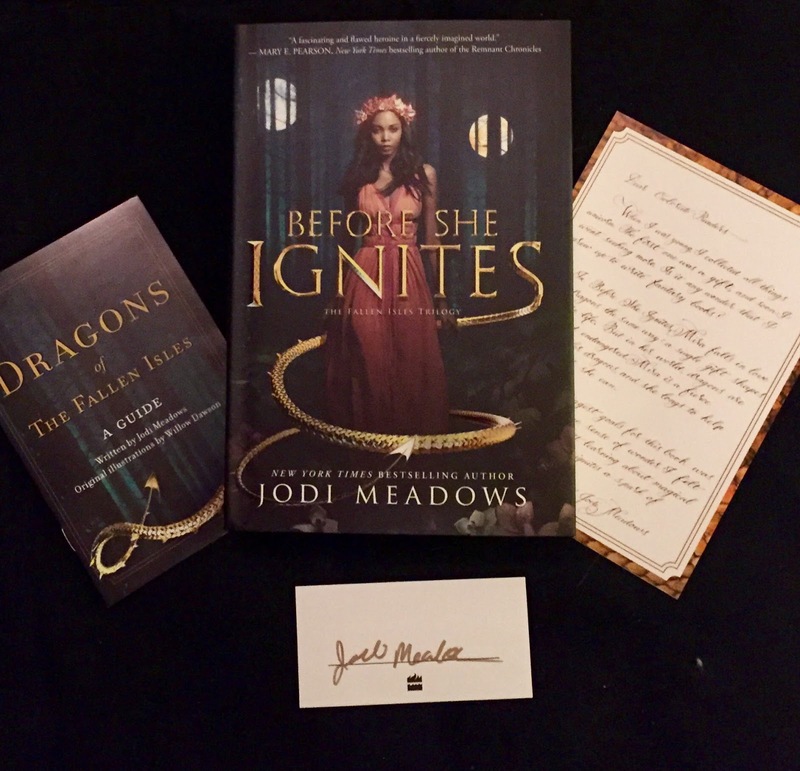 The book is Before She Ignites by Jodi Meadows. The exclusive cover has gold lettering instead of silver, which I'm loving. I've heard great things about this book. Plus there are dragons in it! There were also a signed book plate, letter from the author, and a guide to the world's dragons. That's one of my favorite extras I've gotten in the box so far. I'll share some more unboxing photos on our Instagram. Link on the top of the sidebar.